I got the recipe back in the early 90’s from a friend down in Orange County, California and have been making it for Thanksgiving and special family celebrations ever since. What makes this recipe special you ask? I’d say the millions (ok tons) of apple slices that I pile up in a mountain inside the crust. Or maybe it’s the extra cinnamon I add to make it taste more delicious. 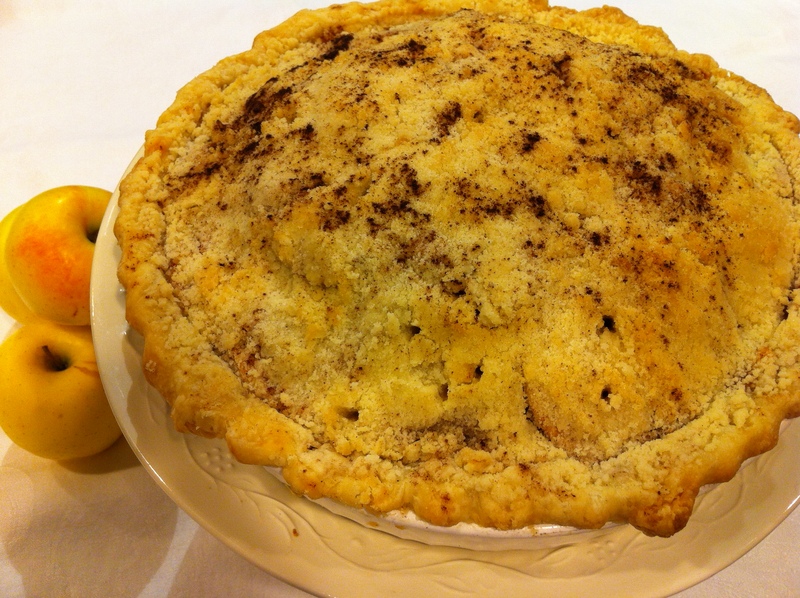 Or perhaps it’s my friend Janet’s pie crust recipe that is flakey and crisp under those millions of apples. 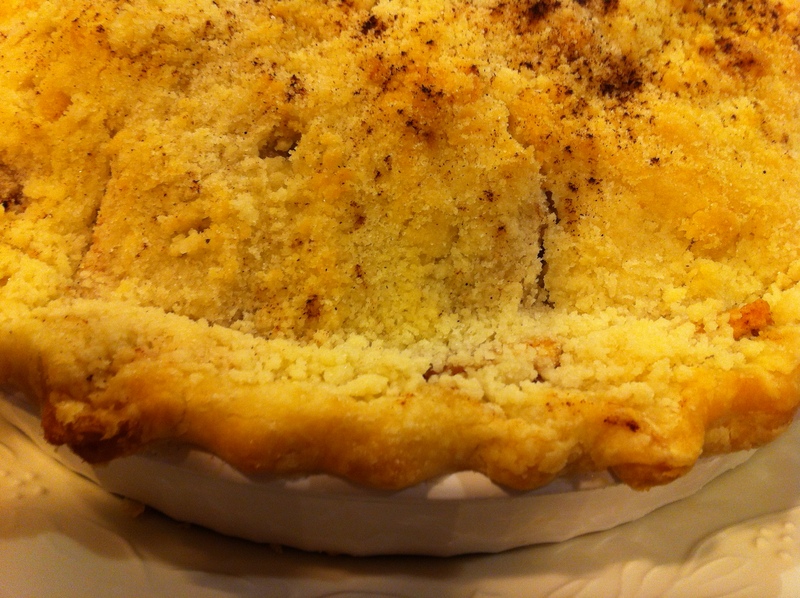 I’ve got it now…it’s the crumble topping, yes that must be it! A mixture of butter, flour and sugar all combined to form the tastiest, decadent delight. 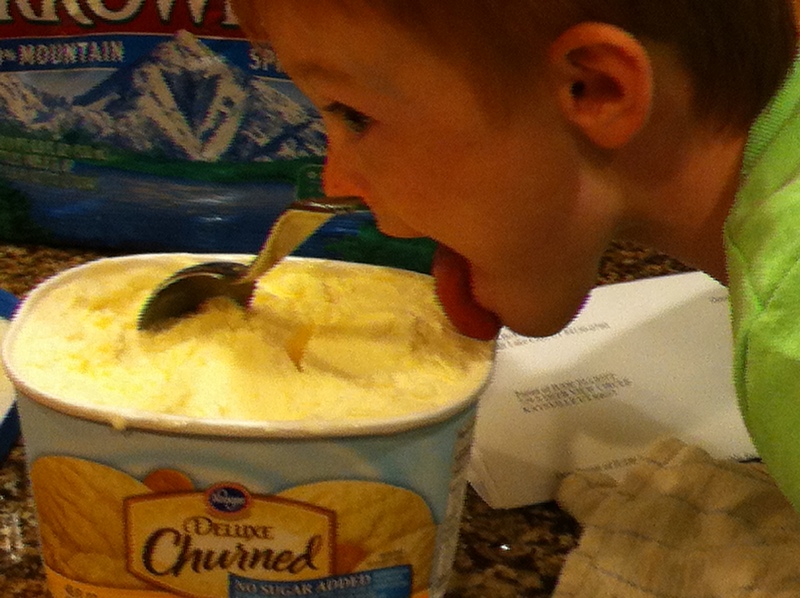 Oh, and don’t forget to serve with vanilla ice-cream and a glass of ice-cold milk. Who needs chocolate cake? I’d choose this apple pie over that any day of the week. After you make it, you’ll know exactly what I’m talking about! 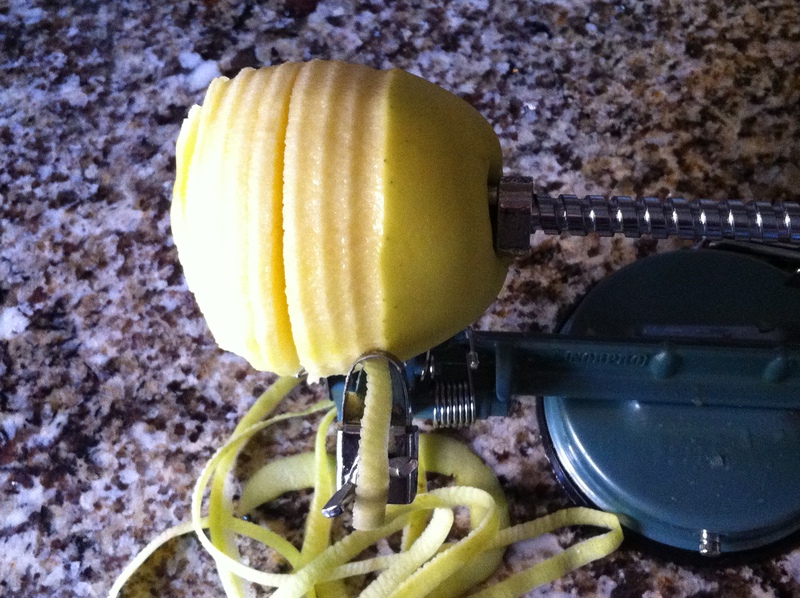 *I use my handy dandy apple peeler, corer slicer contraption to prepare the apples. It is seriously amazing. You must have one. I got mine at Ross for $13.99 but they are available all over the internet. The great thing about using this tool is the slices come out just the right width to ensure the apples cook properly. Any thicker and your crust is overdone with hard apples. Take my word for it, this is a must-have tool. 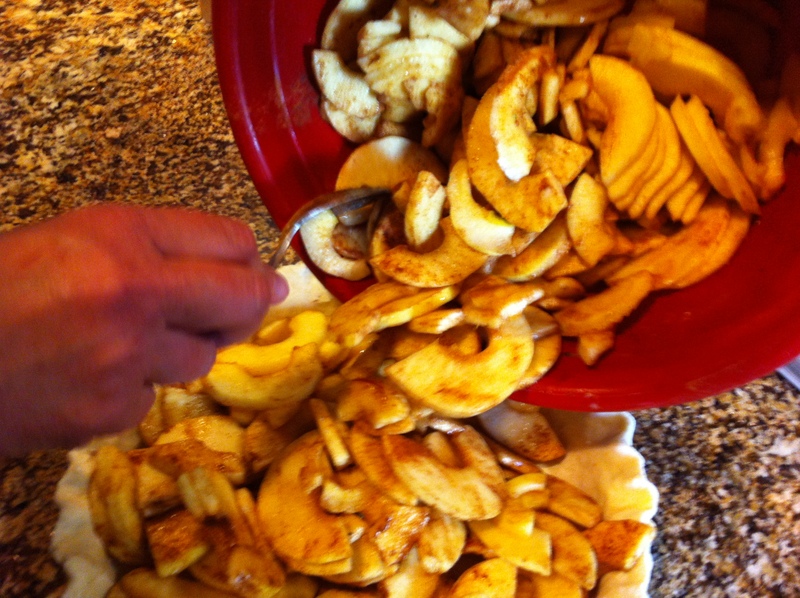 My kids and grandkids love to watch and eat the freshly peeled apple slices. Cover the edges of your crust with aluminum foil. Bake the pie at 450º for 10 minutes. Reduce heat to 350º and bake for 40 minutes or until apples are tender when stuck with a toothpick. Remove foil the last 5-10 minutes. 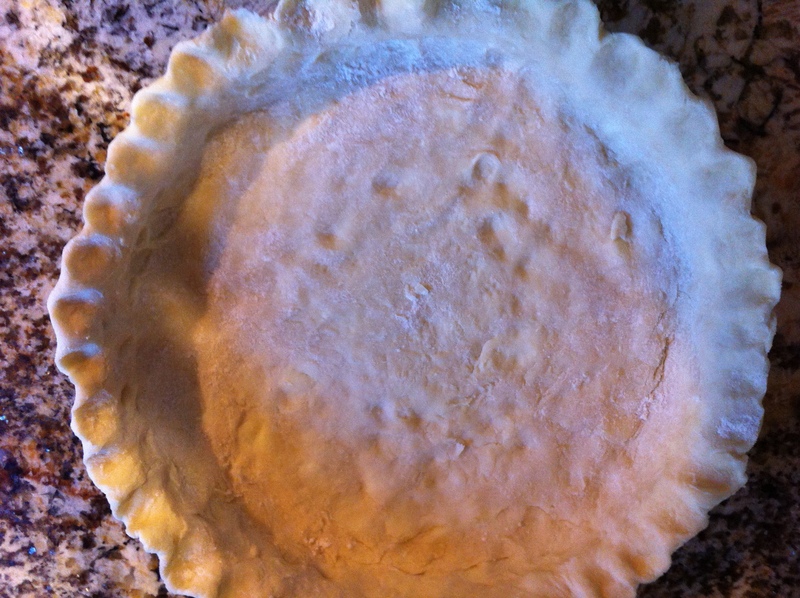 Let pie cool for about 20 minutes. This will allow the juices to be re-absorbed but the pie will still be warm. Serve with vanilla ice-cream and be prepared to find true happiness! What size is your pan? When I make a deep dish I use an 11″ round 2″ deep stone baking dish. Would that be the right size for this recipe?